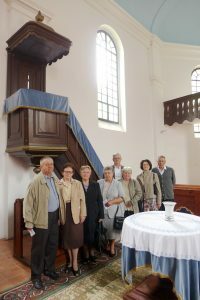 Members of the Reformed Church in Vörösmart, June, 2017. Blessing sign on the balcon of the church in Vörösmart, 2017. The inhabitants of Vörösmart were among the first in the 1500s to accept the teachings of the Reformation and, according to records, already had a church by 1573. They began to build the second church in 1669, it being of mud-thatch brick and wooden beams. The steeple, made of veritable brick with tin-sheet roofing was completed in 1796. The congregation makes the important decision in 1866 to tear down the old church and build an entirely new one. The stonemason Károly Gfeller in Zombor was charged with the task and the relevant contract was signed on 28 August 1866. 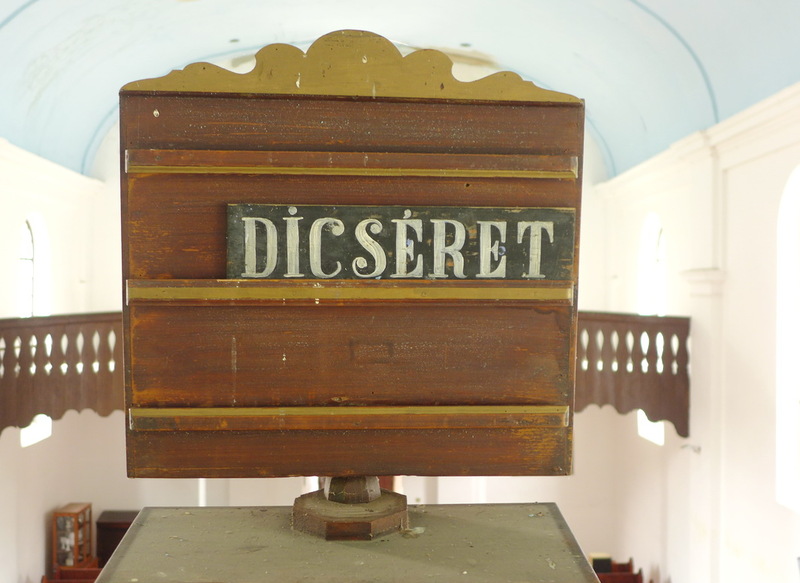 The work cost 4000 forints and the congregation was to pay this in installments over five years. Pál Rátz served as pastor during the construction period. 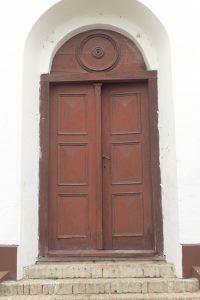 The church was fully completed in 1871 and the first worship service in it was held on October 29. The church was damaged during the Second World War and its interior furnishings ruined. The damages were eventually repaired, the benches were mended but the condition of the church and the pastor’s manse was once again greatly diminished as a result of the Yugoslavian war (1991-1995). 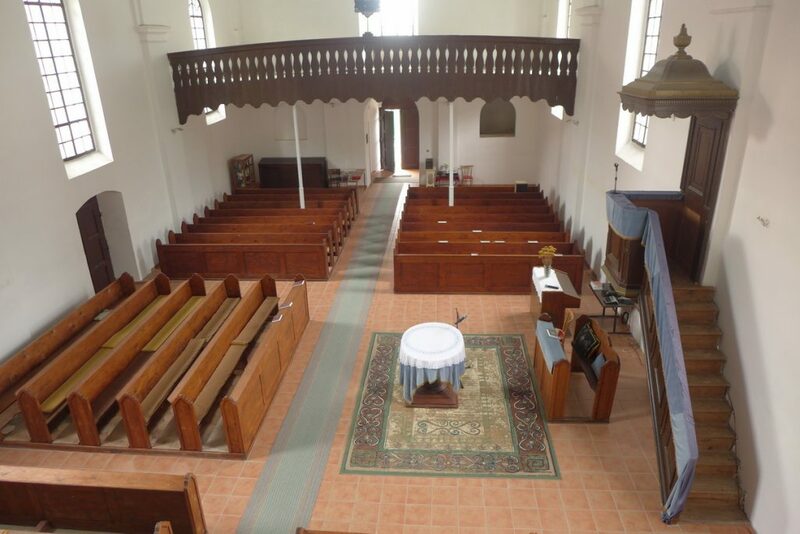 Over the more recent past years, the church, the manse and the congregational hall have once again been refurbished. The front of the reformed church in Vörösmart, June, 2017. Entrance of the church in Vörösmart, June, 2017. In the records found in the church archives, it can be discerned that six of the Vörösmart congregation’s pastors held the office of bishop. 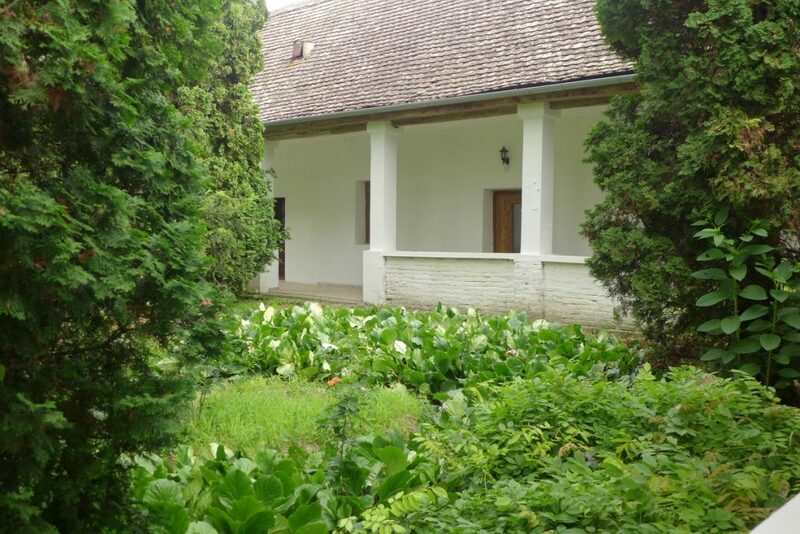 The flourishing life of the church and the influence it had on neighbouring congregations can be deduced from the fact the church maintained a secondary school in Vörösmart which was supported not only by the congregations in Baranya county but also by several noblemen in Transylvania. 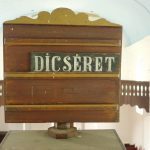 This school functioned until 1686, it not being relaunched after the occupying Turks were ousted. The congregation in Vörösmart and its pastors suffered much persecution during the counter-Reformation. Standing on the left side of the church is very large manse which serves as a reminder of the better times of the distant past. From the beginning of the Reformation until 1935, twenty-eight pastors served in the Vörösmart congregation. 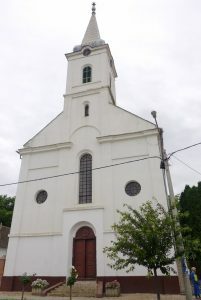 The Reformed Church congregation of Vörösmart is one of the more ancient congregations of the Hungarian Reformed Christian Church of Croatia. The local Hungarian population has undergone a shocking decrease in numbers over the past centuries, its main cause –in addition to the widespread practice of having only one child– being the emigration incited by two World Wars and the Yugoslavian war. In 1817, the congregation had 914 members, in 1886 it had 904, in 1910 it had 621, in 1941 it had 450, in 1971 it had 132, by 1999 there were 130 members and today the number has dipped below one hundred. Their confessions of faith are the Second Helvetion Confession and the Heidelberg Catechism. The sacraments are administered on a regular basis, worship services are held every Sunday morning at nine o’clock and also on various other holy days. Pastoral duties are carried out by György Varga, the pastor in Csuza. Interior of the reformed Church in Vörösmart, June, 2017.